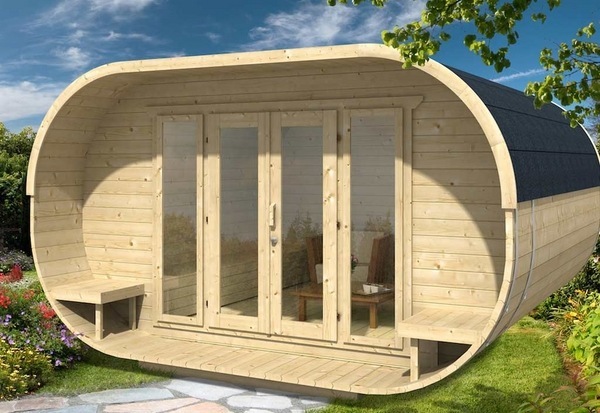 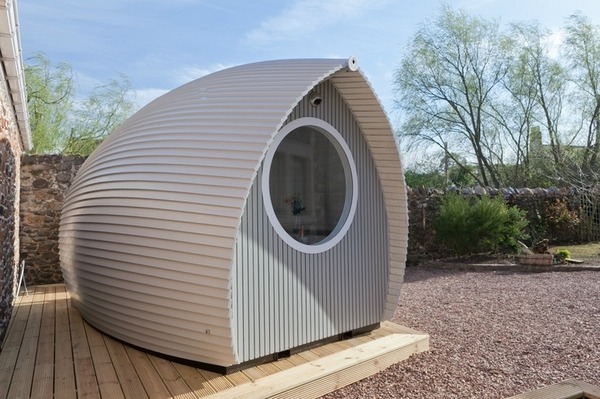 We have collected beautiful modern shed ideas which will inspire you to create your little corner of peace and quiet in the garden.They can be used in so many ways – as a storage space for your tolls, as a tea house, art studio, home office or why not transform it into a cool man cave? 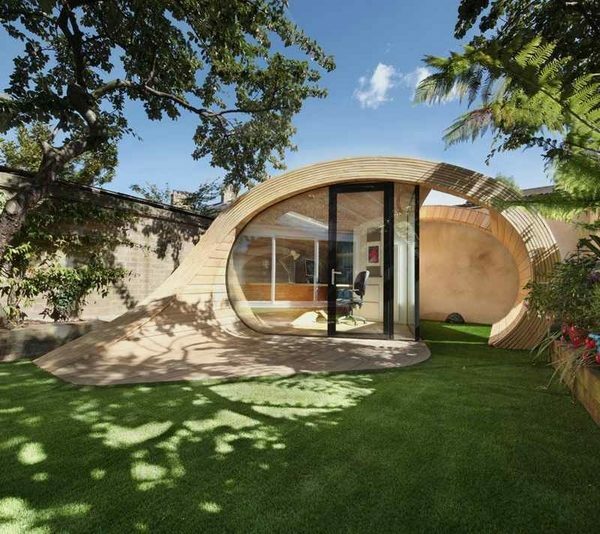 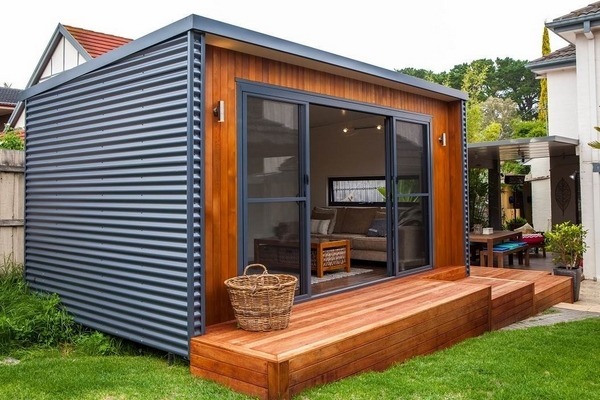 With the increasing popularity of garden sheds, designers offer fantastic modern shed ideas with original appearance which will be a beautiful addition in your backyard. 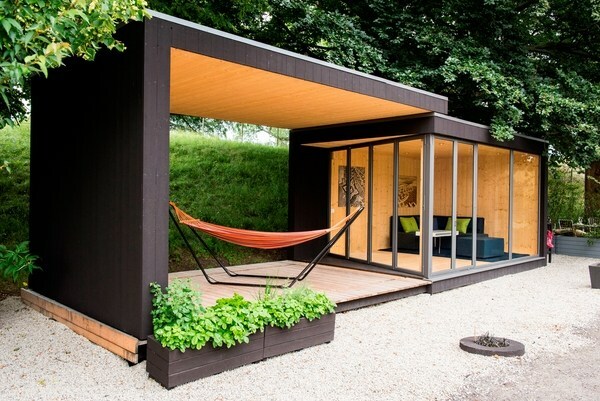 The reason for this popularity is the need of people to have some extra space outdoors, space for hanging out, working or just get away from the daily stress. 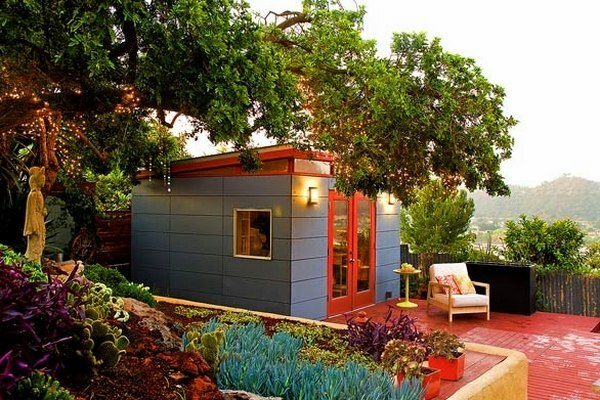 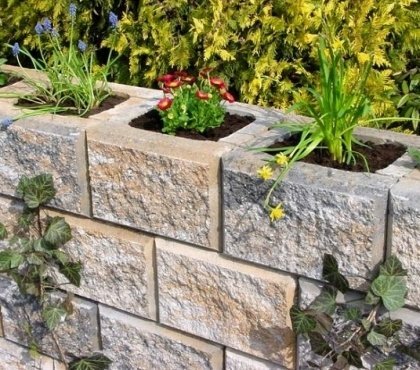 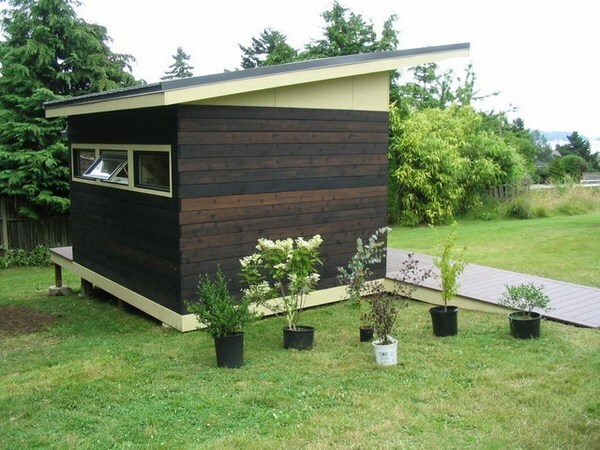 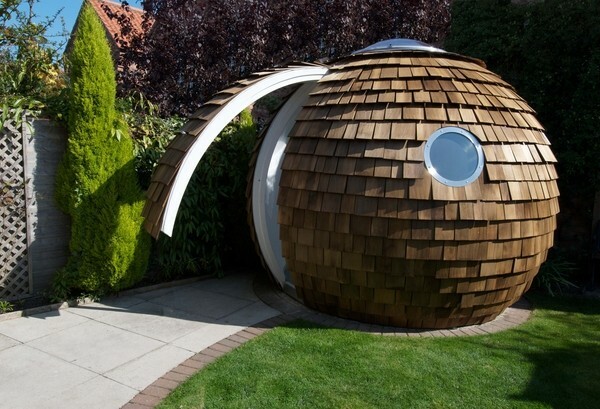 It is up to the taste of each owner how he will use his mini garden room. 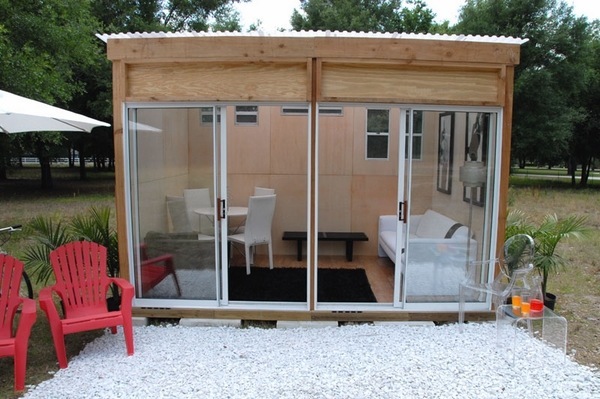 For example, you can arrange a chic decor inside or a sophisticated luxury furniture pieces or create a minimalist decor especially if you use it as an art studio or an office. 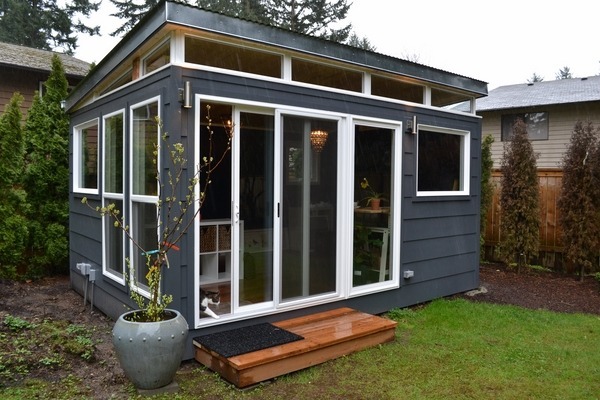 There are numerous ways for functional designs – exercise room, craft space, hobby room, meditation room, music studio – only you can decide! 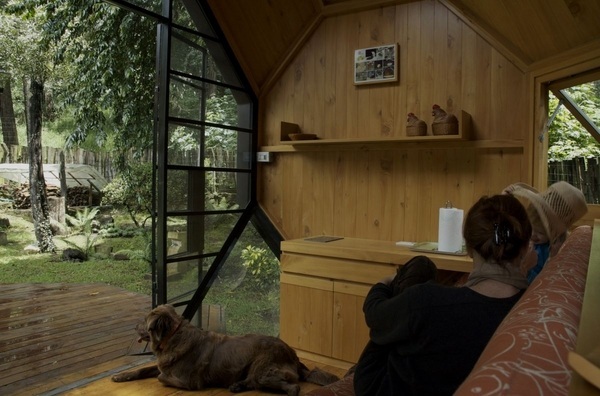 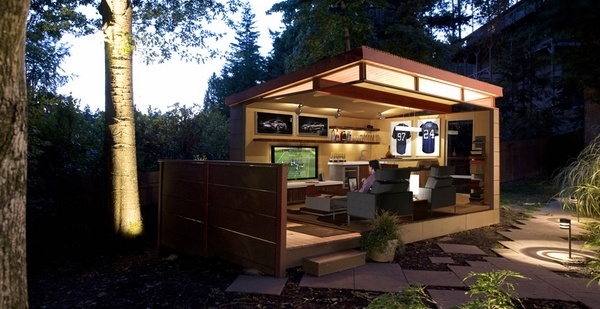 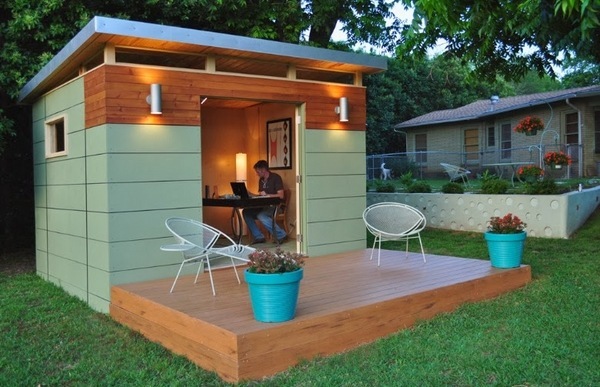 There are many modern shed ideas which are so inspiring that it is hard not to wish for one for our own home. 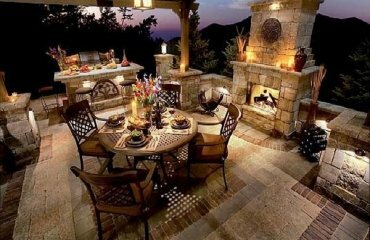 It is a fact that they can be a perfect living space addition and the fact that it is a detached construction is, actually, an advantage, as you will get the private space you need a few meters from your main house. 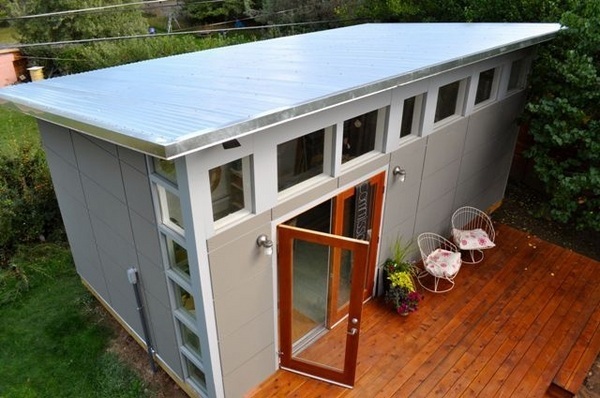 When choosing what type of shed you want, the first and most important consideration is the available space. 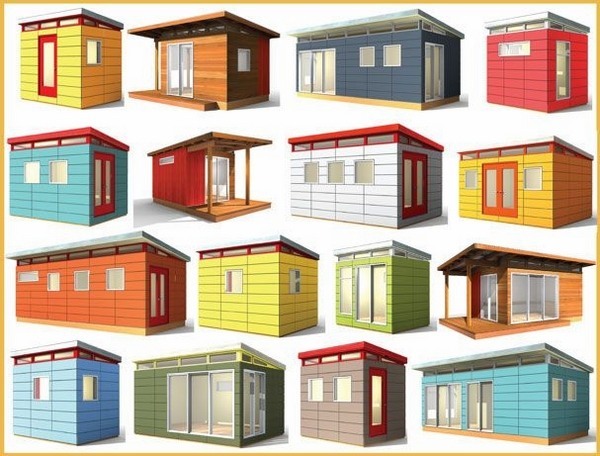 You can choose from pre-fab models which are offered on the market and they come in various designs that it is hard to choose. 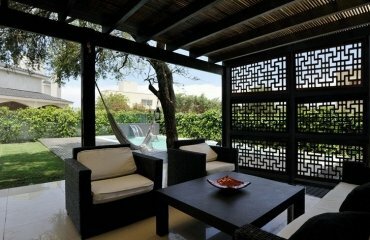 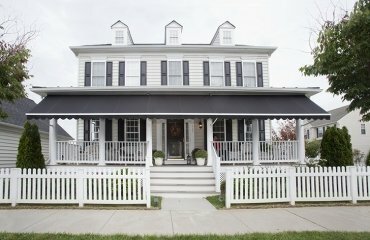 You can have a custom built unit, designed for you which will be in harmony with the main house and the landscape design so that the overall appearance is unique. 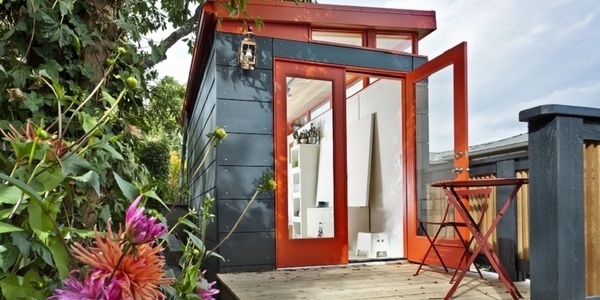 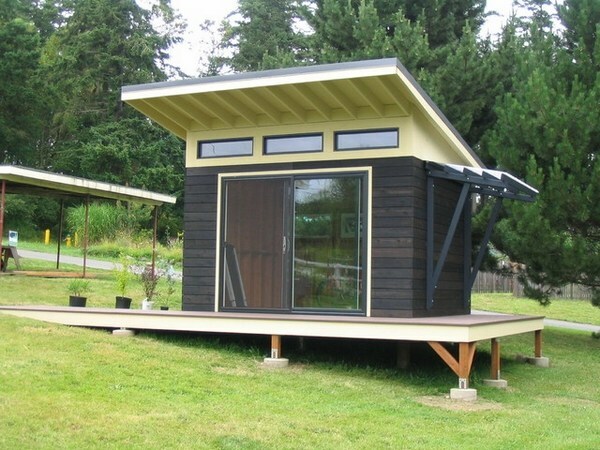 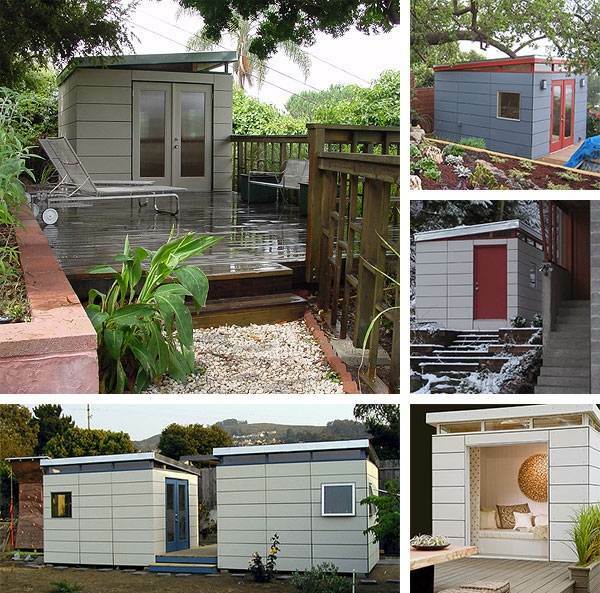 Of course, you can always take advantage of the wide variety of DIY plans and construct your shed on your own. 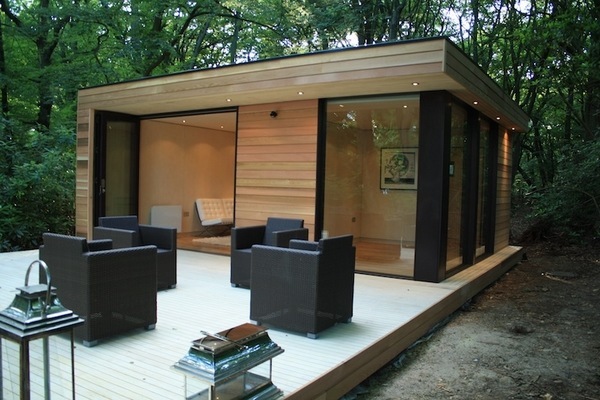 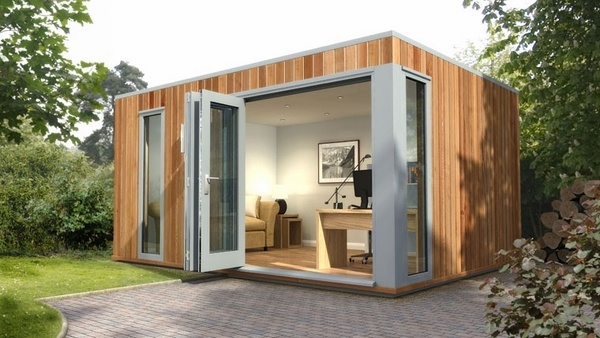 Plans can be found on-line and if you are experienced enough, you will have a modern garden room in a week’s time!